If you have breast cancer or other breast disease, the sooner it's found and treated the better. For a patient, the time between diagnostic test appointments and treatment intervention can seem interminable. This new MRI table and accompanying breast detection software not only take better pictures, but they allow immediate medical intervention, if needed. That's why the Vanguard System inventor, Cameron Piron, President of Sentinelle Medical Inc. just received a Best Innovator 2008 Award from the Ontario Premier. 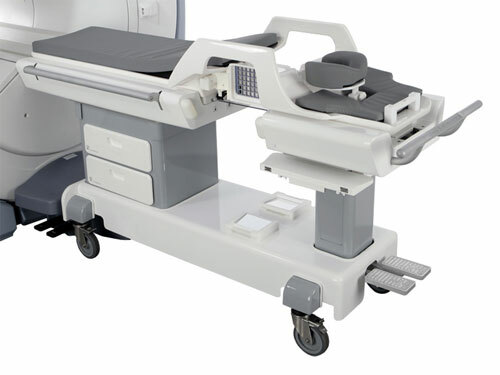 The Sentinelle Vanguard Breast MR Auxiliary Table® (Vanguard) is made for the General Electric (GE) Signa® HDx 1.5T Magnetic Resonance Imaging (MRI) machine. MRI is a non-invasive procedure using a combination of large magnets, radiofrequencies, and a computer to produce detailed images of organs and structures within the body. An MRI can be ordered for any part of the body, but in the case of the breast, a physician would order an MRI if a mammogram or other procedure suggested that further investigation of the breast is needed for an accurate diagnosis. Additionally, there are many women for whom neither palpation nor mammography are reliable diagnostic tools. Small breasted and large breasted women are two of these groups, but all women under 40 have typically more fibrocystic breasts than older women, and fibrocysts, though generally healthy breast tissue, can mask breast lesions. 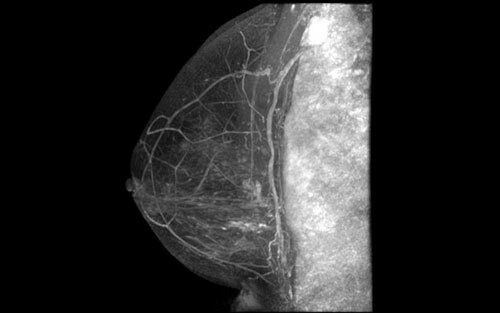 For women with fibrocystics breast who are at high risk for breast cancer, it is very possible that MRI might be recommended as a breast screening exam. 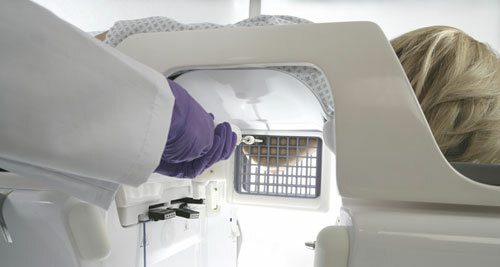 The Vanguard table is detachable from the MRI machine. It can be customized for each patient, making her more comfortable and her breasts more accessible to the diagnostic tools. The coils that cup the breasts are adjustable on the Vanguard table to fit each patient, whether she has large or small breasts. The adjustable coils enable enhanced imagery in areas that may not clearly be seen in most MRI's, especially when breast lesions are very close to the chest wall. What Mr. Piron and his team of electrical, mechanical, systems, space, and industrial engineers have created is a state of the art system that can detect breast cancer at very early stages. It may be recommended for women who are at high risk for breast cancer (see: American Cancer Society's 2007 high risk guidelines), including those with close family history or mammography or other diagnostic results that indicate need for further exploration. via Exchange Morning Post , sources: Sentinelle Medical Inc., Hybrid Imaging Guidance System For Biopsy Of The Breast , and GE Healthcare. Doona Infant Car Seat. It's A Stroller Too. I have a very high-risk family history. Where is this technology available? They have one at Sloan Kettering. This is just different patient positioning (on the stomach) with good access from all directions if a biopsy is needed. Biopsy painful no matter how you do it. The imaging software is as good as Aurora for the GE MRI apparently. But the imaging coils (have been replaced several times) are problematic; had to return for imaging several times before they got a decent reading. Hope your employer is understanding. Thank you for the inputt! Thank you for sharing your experience with the Vanguard System. It helps educate the rest of us on what it's like from a patient perspective! I was just treated on this system in Philidelphia. I slept the entire time. It was much nicer experience than my mammogram. I am happy to hear this is becoming more common and am glad people are putting this kind of effort into this disease. It is about time we make progress.